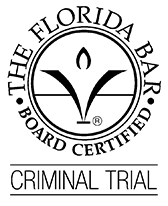 If you have been arrested and charged with a crime in Tallahassee, it is essential that you contact an experienced Tallahassee criminal defense attorney as soon as possible. The things you say or do after an arrest – and the things you don’t say or do – are critical to the outcome of your case and can either serve you well or seriously jeopardize your situation. With so much at stake, don’t take chances with your future. Call Zelman Law right away at 850-765-5948, and decline to answer any questions or make any statements to the police until you do. Being subject to a criminal prosecution is understandably a frightening experience. You may feel that you are at the mercy of the system with everyone – the police, the district attorney, the judge, an unsympathetic jury – against you. But it is important to realize there are steps you can take to protect yourself and make the best of a bad situation. In a criminal case, the prosecutor has the burden of proving the case against you beyond a reasonable doubt, which is a tough burden to meet. On your side, you have constitutional protections in the Bill of Rights, and an attorney to protect those rights and advise you on the best strategy for success. No matter what the situation is, we can likely help you to some degree, but you must call us as soon as possible to maximize your chances. No matter what offense you have been charged with, there are two things you should know: 1) you are entitled to defend yourself against the charges with the assistance of an attorney; and 2) the consequences of a conviction can have long-lasting, far-reaching negative effects on your personal and professional life. At Zelman Law, you will receive honest and straightforward advice, and an assurance that we will strive to achieve the best outcome available in your case, whether it is a dismissal of charges, an acquittal or not guilty verdict, or probation or other alternative sentencing that avoids or minimizes any jail time. We use professional investigators and other experts and specialists as necessary to provide you with the best defense we can. Contact an experienced Tallahassee criminal defense attorney at 850-765-5948 for a free consultation and immediate assistance. Question: How do you recover compensation from a car accident under Florida law?